Chimney smoke and piles of leaves mean it's Barolo season. If there is any time of year to open up some Barolo, these cool, crunchy-leaved days can’t be beat. Just as fireplaces are making a comeback after their 6-month hiatus and the luckiest among us get to have white truffles from Piedmont shaved overtop pasta and scrambled eggs and anything else we can find—this is the time for Barolo. Over lunch the other day with Emmanuele Baldi from Piedmont’s Prunotto winery (who, like seemingly everyone from Piedmont, is training his own dog to hunt for truffles) we tasted the winery’s first release of its single-vineyard Barolo bottling, the 2008 Prunotto Riserva Vigna Colonnello and all I could think about were truffles. The wine is earthy and fragrant, with incredibly bright, red berry fruit. The region of Barolo is made up of dozens of little hills that vary greatly when it comes to soil types—and the wines reflect this. 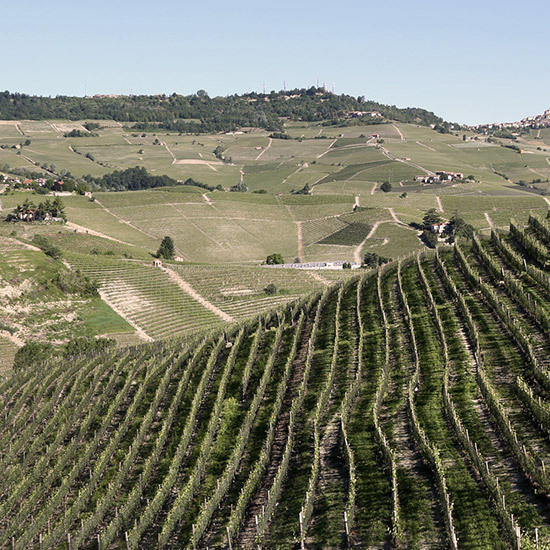 Colonnello is a small, 4-acre vineyard atop the Bussia vineyard in Barolo, so only a handful of producers get fruit from it (including the exceptional Aldo Conterno). The vineyard is a south-facing amphitheater shaped piece of land and Colonnello has the best seat on the property. The vineyard is so remarkable, that Prunotto has a new small winery and tasting room dedicated specifically to the wine from this vineyard. The building sits in the middle of the vines and all of the production—from grape growing to crushing to aging the wine is done within a 150 meter swath of land—the grapes never see a truck. Visitors to the tasting room will be able to drink this pretty wine while looking out over the very 40 year-old vines that grew the grapes. It’s definitely a spot to put on your list when visiting Piedmont. The Colonnello isn’t cheap—it runs about $200 a bottle—but then neither are truffles. For those of us who don’t have our very own truffle dog, Prunotto’s basic 2011 Barolo, a blend of several vineyards, is also great and costs around $60. It will go superbly well even with un-truffled, but mushroom-rich pastas, like chef Chris Pandel’s unforgettable Toasted Fazzoletti with Chanterelles and Hazelnuts.